The Panguna mine was abandoned by Bougainville Copper Limited (BCL) in 1989 after disaffection from landowners grew into an armed uprising and a push for independence from Papua New Guinea. The President and Cabinet of the Autonomous Bougainville Government had planned to go to the Panguna mine site to sign an agreement that would allow BCL to work towards reopening the mine. But so-called “hardline” groups and other opponents, led by angry women, blocked the road and demanded the Government and the company abandon their plans. 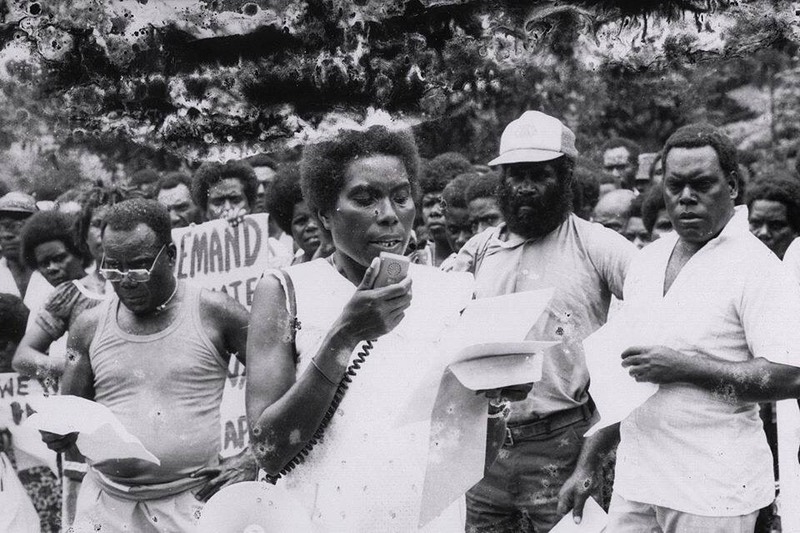 Many of the women were not from the specific mine area but say they were affected by the horror of the Bougainville Crisis — the armed uprising in which 20,000 people died. “I don’t want mining to be opened, no BCL, no mining. Because land is owned by the women, not the men,” said Regina Erengmari, one of the women in the blockade. Many of the protesters are specifically opposed to BCL returning, because they blame it for the crisis. But others, like Bernardine Kama, are opposed to any company reopening the mine. “I grew up within the damages and the destructions of the mine and I know much destruction has been done,” she said. But there are many people from the area who want negotiations about reopening the mine to begin. 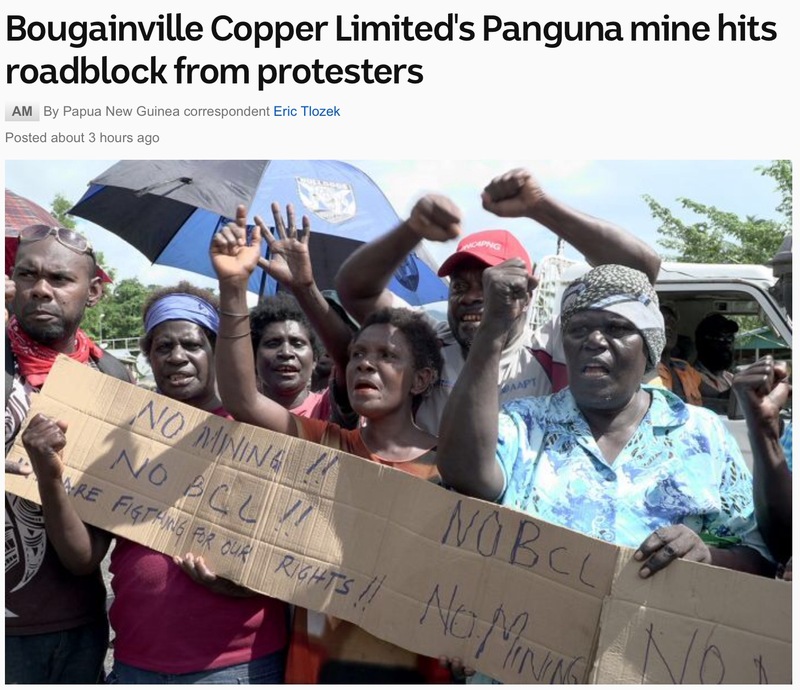 Panguna’s nine landowner associations were expecting to sign a memorandum of agreement with the Autonomous Bougainville Government to say the mine would reopen and that BCL would operate it. Theresa Jaintong, who chairs one of the landowner associations, said signing the agreement is important. “It’s important to me because I have issues to address with BCL and also the government, all other landowners and also representing my own people, and we were looking forward to sign and then open the door to other outstanding issues,” she said. Bougainville’s government is in a hurry to reopen the mine, because it needs the revenue if it wants to be viable as an independent country from Papua New Guinea. President John Momis said the mine is critical to any proposal for independence. 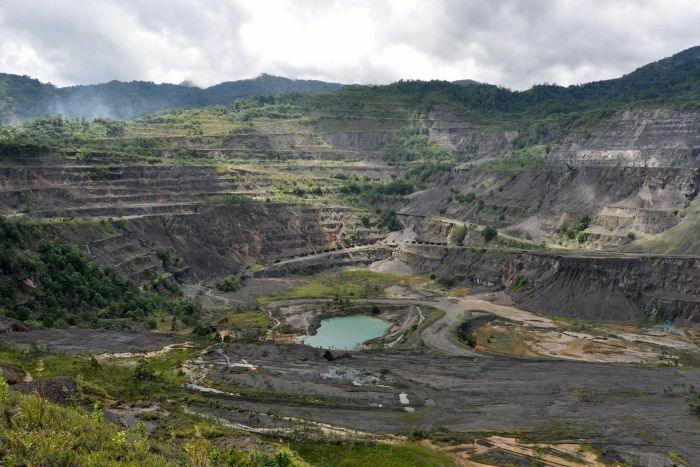 “Will independence be possible without Panguna mine? I don’t think it is possible,” he said. The Government is now waiting two weeks while the groups negotiate and is planning a public information campaign. 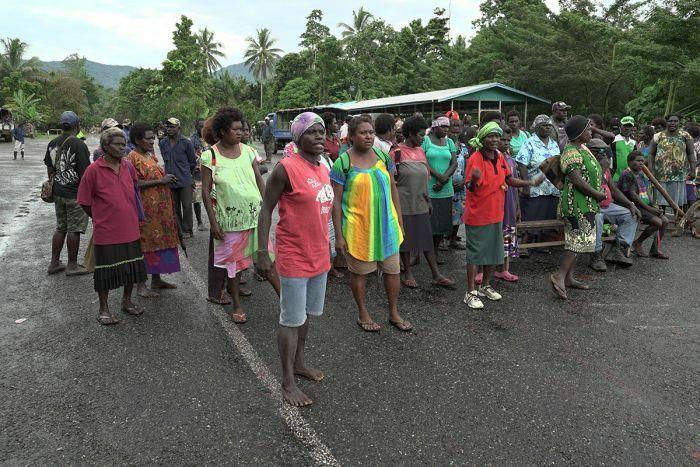 In two years’ time, there will be a referendum on Bougainville to determine if the region should secede from Papua New Guinea. Some opponents have threatened violence if the proposal to reopen the mine proceeds. But President Momis says the Government will continue to work towards reopening Panguna, because it believes it’s the best way to provide for the people most affected by its closure. “This government is committed to make sure that people who have been most detrimentally affected, and the landowners have been in Panguna, we have to look after them,” he said. 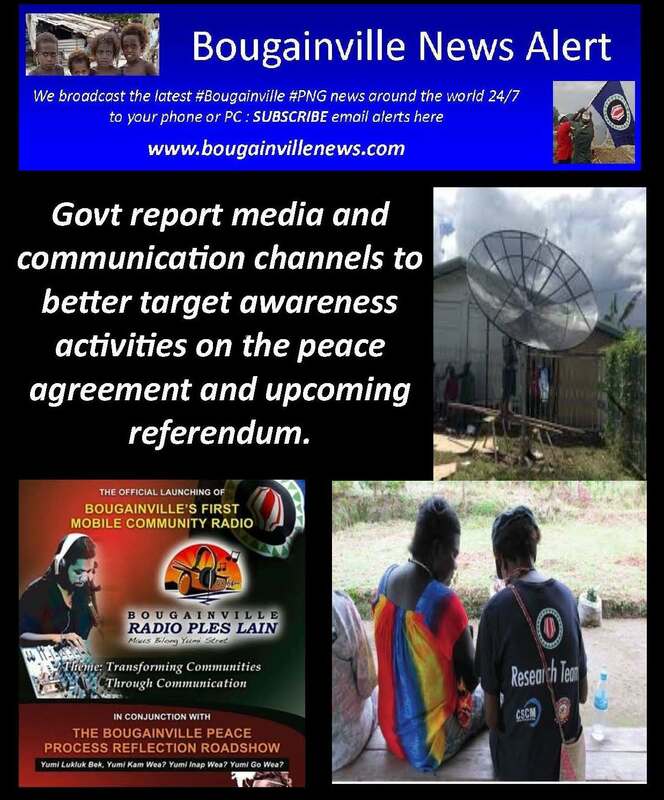 Bougainville Day 2017 Reflections on the past : Are our greatest resources the environment, our cultures and our people ? “June 15, is a very symbolic occasion. 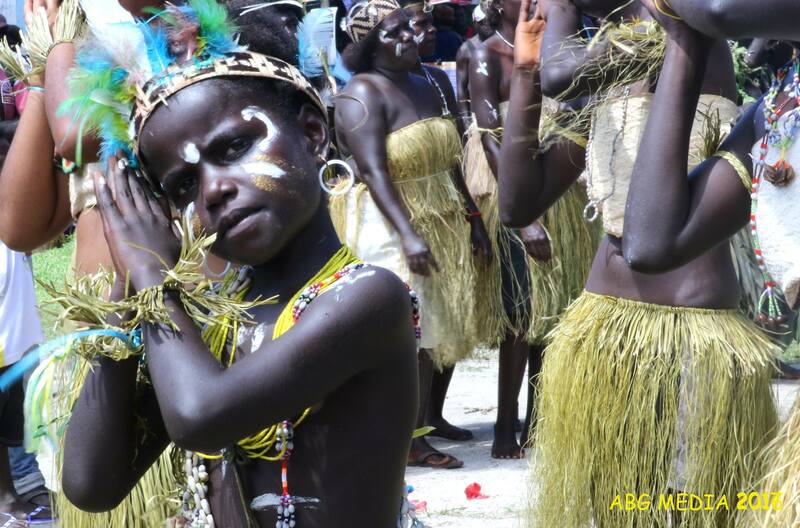 It marks the anniversary of the day when Bougainville’s political aspirations were recognized with the formal establishment of the Autonomous Bougainville Government, in this sense Bougainville Day captures the hopes, dreams and aspirations of all Bougainvilleans. Happy Bougainville Day and God bless you all. ” As another Bougainville Day arrived and passed us by we continue to contemplate, celebrate and share the belief, hope and faith that with the right efforts and proper use of resources Bougainville will continue be a resilient society among its Melanesian brothers in the country and in the Pacific Islands. The Autonomous Bougainville Government has made significant progress in strengthening its faculties through passing important laws in the Bougainville House of Representatives and revitalizing the Bougainville Public Service into a lean and effective service delivery mechanism. We have passed many new and important laws such as the Bougainville Mining Act 2015 which is one of the very best in the world as it gives Bougainville resource owners more control over their land and resources. The recent partial lifting of the Mining Moratorium on Bougainville is a clear indication of the ABG’s drive to foster fiscal self-reliance in the region. Over the years our public service has been plagued by corruption; it is a deeply rooted problem that continues to hamper our development but we have since made efforts to curb this problem. The setting up of the Auditor’s Office and the recent opening of the Ombudsman Commission’s office in Bougainville has provided us with the necessary means to tackle the corruption problem head on, not just in the public service but throughout Bougainville. The recent developments in the public service shows that the ABG will no longer tolerate corrupt practices. We have set the indicative date for the referendum to be held on June 15, 2019. The ABG is already preparing for this very important event and the newly created Department of Peace Agreement Implementation will be taking the lead on this. I would like to remind you all that our people are a people highly favoured. We have been blessed with the right to self-determination and this right we have paid for with the blood, sweat and tears that we shed through the darkest hours of our history, and that was the Bougainville Crisis. We will not go quietly into the night, we must stand firm and stand united and make our voices heard, for at this juncture, unity is our greatest bargaining power on the eve of the referendum. Today I ask all Bougainvilleans to reflect and to consider what you can each do to help Bougainville achieve its true destiny and dreams. All of us have a role to play – our farmers, industrialists, students, teachers, health workers, public servants and our elected leaders. By working together and moving ahead with a common goal there is much that we can achieve. My challenge to you is to embrace this change and contribute to the journey. Together we can achieve greatness and as your President that is my ultimate goal – for a proud, united Bougainville. Not everyone will agree with me, but I believe they are our environment, our cultures and our people. When we think about how to transform Bougainville into a developing, progressive region in the modern world, it’s important we do so by harnessing and protecting these resources. Our environment, cultures and people are the things that have sustained us for countless generations past – and they can continue to do so today and into the future if we are smart. 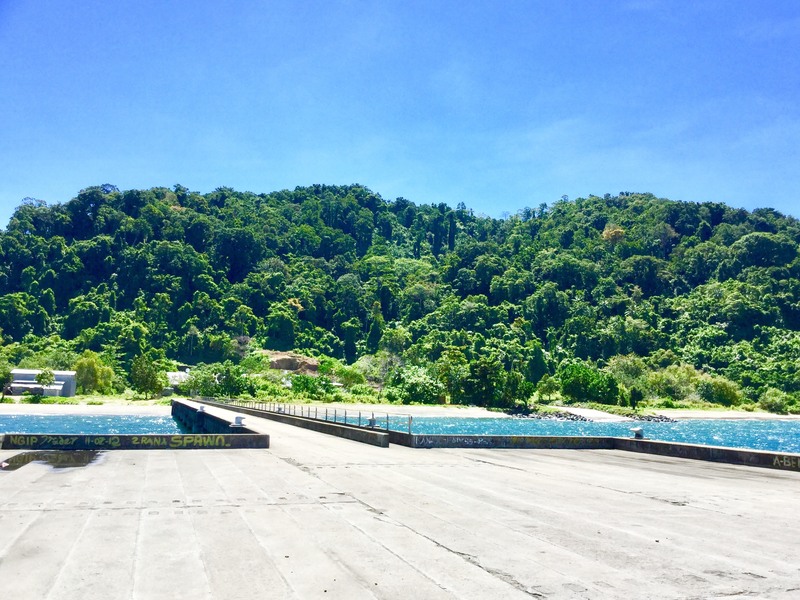 Keeping our natural environment healthy while transforming Bougainville into a modern, progressive region is something the ABG can achieve only in close consultation with communities – the land owners and culture custodians. Wherever we look around the world, there are lessons we can learn. Some communities and their environments have become victims of progress, not partners in development. Think about the Melanesian people of West Papua. In the past 40 years vast quantities of their gold, copper, timber, palm oil and other resources have been mined, chopped down, extracted and exported, but few impartial observers would say this has been to the benefit of West Papua’s environment, cultures and people. Of course, the vast majority of the resource extraction that has happened in West Papua has been undertaken with little or zero community consultation. We have the opportunity to do things differently. To this end Bougainville’s mining legislation and policies address this. Let us hope it works in practice so that all parties involved in this industry and any such investment which harnesses resources are equal opportunity benefactors. When we consider the various options open to us, I believe a CGP (community government partnership) is a more sustainable choice than a PPP (public private partnership). CGP has the community as its starting point. CGP is a partnership that regards and protects the environment as enduring capital for sustainable humanitarian development. A PPP is fine if it regards resource owners in communities as equal partners. But too often PPPs see resources merely as disposable commodities and consumables in a profit-oriented business model. That way of thinking ends up depleting our strongest long-term assets for short-term gains that are here one year and gone the next. Bougainville’s greatest resources – our environment, our cultures and our people – deserve so much better than that. We can learn from the lessons from the past – some of which have been the most profound insofar as they have affected our society more than any other society in Melanesia, and the whole of the Pacific for that matter. ” The 167 women contesting the national elections comprise only 5% of the total 3,340 candidates. Their will and courage to take this step is remarkable, and every single one of these women, regardless of the election outcomes, is a leader and role model for all women in the country. The Post-Courier cartoon is grossly sexist and only serves to reinforce social, cultural and political challenges women face. It also undermines the good work that the media generally have done in terms of coverage of the elections and women’s issues. Michelle Rooney is a Research Fellow at the Development Policy Centre. Recently, the Post-Courier, one of Papua New Guinea’s oldest and largest daily newspapers, ran a cartoon featuring a Papua New Guinean female candidate in the 2017 national general elections. She is dressed in a short skirt while discussing her election aspirations for a healthy democracy. Behind her a Papua New Guinean man is sweating; somewhat delirious, with red love hearts floating above his head, he is more interested in watching her paint – and watching her backside. The underlying message is clear: try as they might to contribute to a healthy democracy, women contesting the PNG 2017 national elections are merely the objects of men’s desire. Unfortunately, other than public outcry that may stem from PNG’s active social media, the Post-Courier is unlikely to be held to account for such a tasteless and harmful cartoon. By contrast, in other countries media outlets are met with great debate for similar images (for example see here and here). While PNG’s media faces struggles to maintain media freedoms, it also enjoys considerable freedom from public scrutiny. This is largely because of a relatively low adult literacy rate of 64.2% and a social and political climate that tends to curb public debate. Even though a vibrant social media is changing this, the mainstream media still wields a powerful influence on the PNG audience. In this context, this cartoon speaks volumes. This situation needs to be addressed and the PNG mainstream media should lead efforts to strengthen equitable and fair coverage of women in PNG face with respect to their political participation. In this regard, an excellent body of emerging research identifies the constraints that women in the Pacific face in political representation as well as potential areas for support. The evidence shows that women in the Pacific face immense challenges in political representation (see also here). Two case studies in PNG (here and here) confirm the importance of money politics and entrenched cultural perceptions about the place of women in society. The good news is that within these detailed and comprehensive studies lies solid evidence that the media can help to improve the performance of women candidates and their performance in public life. This report notes that the media has an important role to play in shaping public discourse, while this interview notes that those who work in the media can do more to learn about gender and other issues to give fair voice to all sectors of society. The findings of this report, suggest that collective action and strong robust coalitions are more likely to succeed at achieving transformational change and changing gender norms. As this submission to a parliamentary inquiry discusses, access to advertising space on TV, newspapers and radio can potentially play an important role in supporting women’s political representation. This report notes that access to powerful networks can be important for mobilising support. Another report identifies how women politicians are subjected to greater scrutiny of their private lives. Other studies point to the importance of a sustained support for women candidates that is linked to the electoral cycle, and the need for wider national awareness campaigns that focus on women’s rights to contest elections and hold public office. On all these issues, the media has a clear role to play in catalysing action and responses, and in sustaining a national conversation about important issues such as gender equality. The other good news is that some relatively easy steps can be taken to draw on this rich literature to strengthen the role of the media in supporting a national effort to improve women’s political participation. 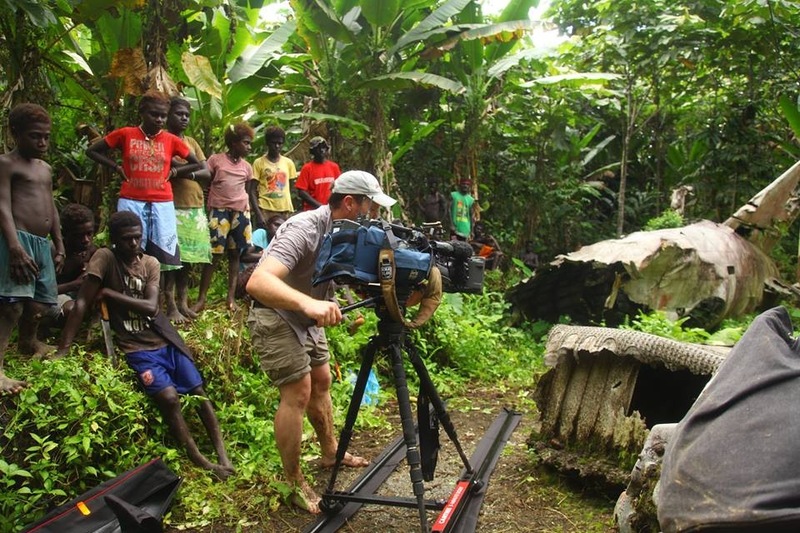 Positioning media as an actor in a coalition: As the peak body and voice of the media industry, the Media Council of PNG is a good starting point. Its website states that it was formed in 1994 to address moves by the then government to control media, to raise awareness about the importance of free press, provide training and support a complaints tribunal. This mandate gives the Media Council a broad platform to foster practices that move beyond reporting the news towards engaging as a coalition partner in the cause for greater women’s political representation. 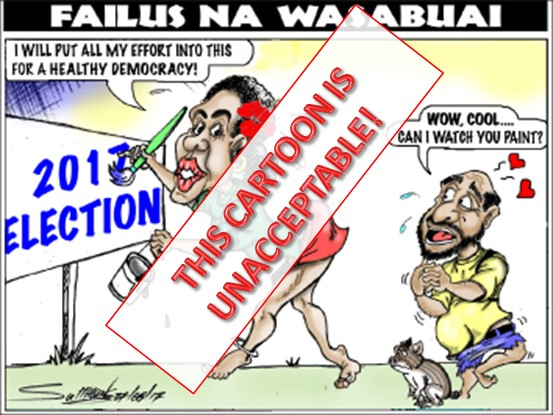 Informing media of current research: The sexist Post-Courier cartoon indicates that more needs to be done to translate and share the referenced research findings with the media. Synthesising some of this research for a media audience and providing training on it may be one way to inform the media of the important and powerful role they can and should play. Establishing a media watchdog: In May 2017 the PNG Media Council launched a code of conduct with partners including an array of international development partners such as the Australian Department of Foreign Affairs and Trade, the United Nations, the European Union Delegation, the Australian Press Council, the Pacific Islands News Association, and others. The code includes a comprehensive list and applies to all media. Several of the guidelines within the code are of direct relevance to the cartoon referenced in this post. To strengthen the code of conduct, the PNG Media Council may also consider establishing something similar to the Australian program Media Watch. Such a mechanism could provide media analysis and engage with the public to generate dialogue about the PNG media’s role and the need for it to be accountable. Tracking media coverage of women in politics: The cartoon shows that the media has a long way to go in terms of addressing gender equitable reporting. Establishing guidelines for gender equitable reporting may help. A media tracking research project designed to conduct text, image, advertising and other analyses might also be useful. This should ideally commence now and be sustained until the next elections. Its aims should be (i) to measure changes in gender equitable coverage; (ii) to support maintain a sustained national campaign; and (iii) as the research suggests, track the links between the media, women’s strategies at accessing media platforms, and how this influences their success at elections. Obviously these steps will require some resources to be realised. The studies mentioned in this post are comprehensive and detailed, and point to a number of opportunities for media to better support women’s political participation. The challenges facing PNG’s women candidates are daunting, and they deserve more equitable and accountable treatment by the mainstream media. 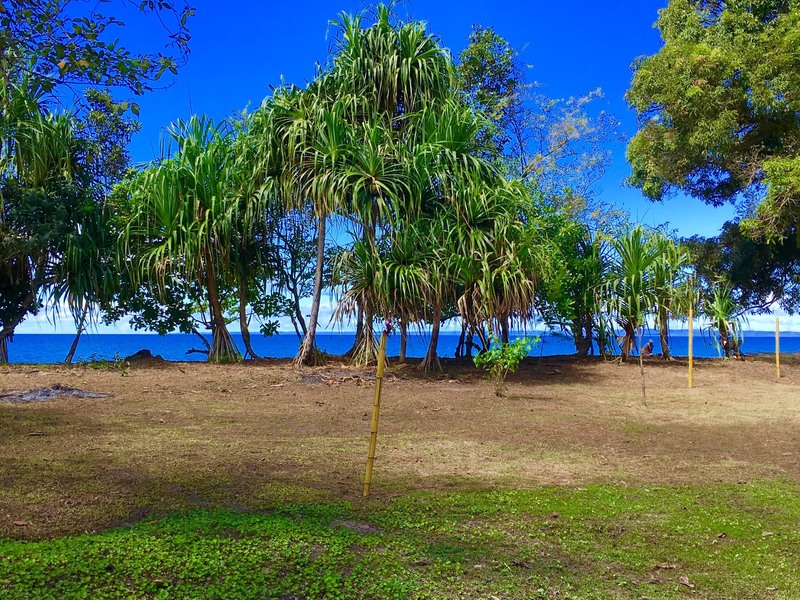 ” ALTHOUGH it is one of the less-visited places in our region, Kangu Hill, Kangu Beach and this generally remote bottom end of Bougainville have their share of fame (and infamy). At one time, Kangu attracted international attention as a sphere of wartime activity. 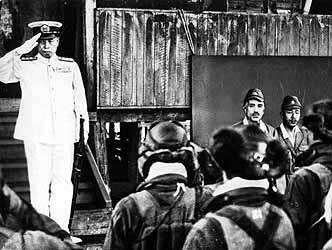 Admiral Isoroku Yamamoto, commander-in-chief of Japan’s combined fleet, was shot down over Buin on April 18, 1943. About 25km north of Buin along the south of Bougainville lies the wreck of the Japanese Betty bomber which was intercepted and shot down by Allied Forces on 18th April 1943. On board that plane was WWII’s most famous Japanese commander and mastermind of the Pearl Harbor Attack, Admiral Isoroku Yamamoto. 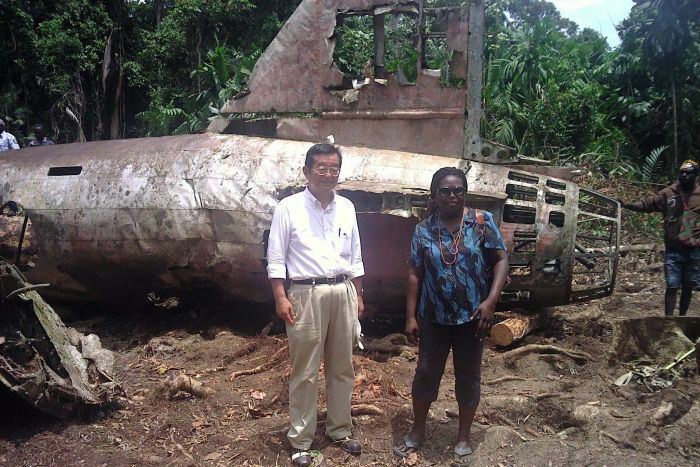 He was on an inspection tour of forward positions in the Solomon Islands when his aircraft (a Mitsubishi G4M “Betty” bomber) was shot down during an ambush by American P-38 Lightning fighter planes. His death was a major blow to Japanese military morale during World War II. The site is covered in thick jungle and there are still some landowner issues, but if you arranged yourself early and got in touch with Bougainville Experience Tours , they can get you there. After the war this area became the district HQ for south Bougainville during the colonial administration. Kangu had its own police station on the hill, a hospital and power station by the beach, some colonial government housing and its share of Chinese traders and merchants. Before Kangu got its jetty in 2003, cargo ships used to anchor off shore. Back then a trickling of crocodile hunters used to come through the area, after the reptiles for their skins. Scavengers of WW2 relics turned up from time to time, but they found they couldn’t possibly take much of evidence of the war away with them. This was out of the way for them, original land owners still had customary rights over land and their visits waned over time. And, in any case, who could remove the concrete bunkers from ‘Little Tokyo’ or the huge guns along the beaches that were left pointing to the south Solomons? Or the sunken vessels out here at sea. Some of the places of most historical interest are relics of the church and the state. Patupatuai near Kangu was one of the oldest mission sites and came complete with a Catholic cathedral. Bougainville’s oldest technical school was here, next to the Buin primary school at Kangu beach. I still have very fond memories going to the primary school with many boys from other parts of the Island as far away as Haku, Halia, Petats and Solos. Further down the beach from Patupatuai Catholic mission, the Methodists ran the lively Kihili Girls Vocational Centre. It enrolled girls from both sides of the Solomons. It’s quite amazing how much the colonial administration and the churches did in the early days with very little money, but with a lot of thought, faith, effort and initiative. I sometimes wonder what would happen if the four Bougainville national MPs put even a fraction of that thought and effort into planning together how best to spend the DSIP and other funds in their stewardship. Just imagine what could be achieved for the people of Bougainville if that K30 – K40 million or so a year – over some six hundred million kina a term – was carefully and strategically put to good use for the people of Bougainville! In the mid-60s, as the new Buin town became the district centre and site for merchants and businesses, Kangu was slowly deserted. The rituals that were part of the Kangu outpost – and were probably common in colonial administration centres throughout most of the territory at the time – started to fade. At a certain time of the day, may be at the raising and lowering of the colonial flag in the morning and in the afternoon, the sound of the bugle playing ‘The Last Post’ would ring out among the trees and the buildings. All these years later the sound still rings vivid in my ears. Of course, Kangu Hill and Kangu Beach have a rich history that predates WW2. Now, as Buin township expands, this rich history is tickling the imaginations of the locals, historians, developers, entrepreneurs and philanthropists. Plans for the facelift of Buin town include sealing the road all the way down to Kangu. The plan holds a lot of potential for locals and tourists alike. When the new Buin market buildings are complete and the bitumen goes all the way to Kangu beach, this will no longer be a road less travelled. 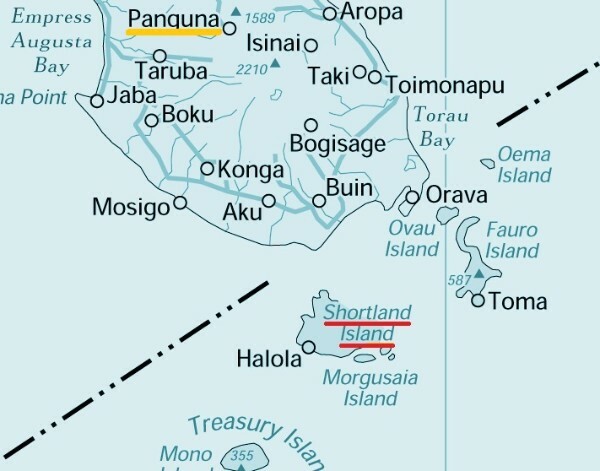 I can imagine Saturdays where people from as far as Wakunai, Arawa and Kieta will converge on the area, mixing with the locals and with the increasing numbers of fishermen from the Shortland Islands, giving the market an international flavour. To sell her produce Regina Puia travels 45 minutes by boat every Saturday from the Solomon Islands to Kangu and then onto Buin Market or further north to Evo, her matrilineal home. The mother of four, who comes from mixed Evo (Central Bougainville) and Shortland (Solomon Islands) parentage, lives in Nila Catholic Mission on the east coast of Shortland Island where her husband is a fisherman. The policeman playing the bugle at the rising and going down of the sun, ringing and reverberating in my head, would now be drowned out by the boom and thump of rock and reggae coming out of the Bluetooth speakers that are quite affordable and plentiful amongst young revellers all around the Island. Of course, the pain and the wounds that gave Kangu its immortality remain. Those bitter memories, along with the warm nostalgia for a past that will never return, are all part of what makes this place what it is today. And they will continue to be part of what it will be tomorrow and into the future, even as many people in this part of Bougainville crave to ‘catch up with the rest of the world’, whatever that may mean. ” HAVING lost much of their precious land and rivers, landowners in and around Panguna do have grievances. But welcoming the culprit back into their midst to remedy some conflicts is a goal they see as paramount to the progress of Bougainville as a whole. BCL had a cordial welcome from the people of my home Enamira Village in the heart of the Upper Tailings area of the Panguna District. A short traditional ceremony to mend broken ties and restore relations with the community of the Tumpusiong Valley, as it is known widely today, began the day. This was followed by speeches that emphasised concord, collaboration and remediation of all the issues attached to the Panguna mine. 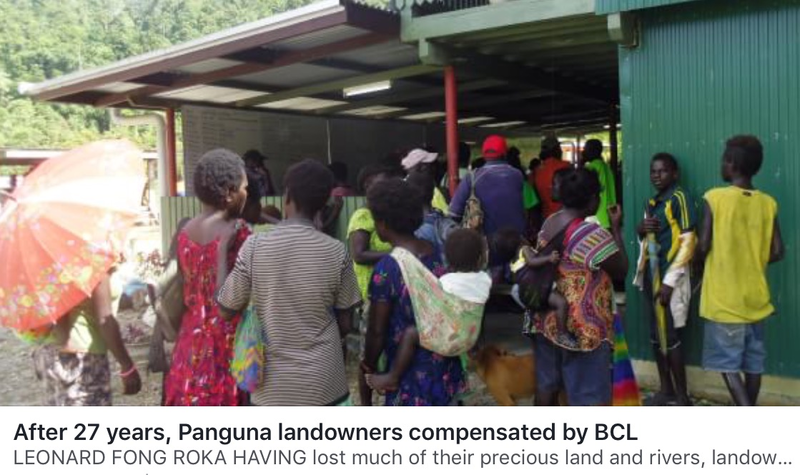 It was a go-forward for Bougainville because BCL was giving the mine-affected people a sign that the physical destruction of their land and life by mining no longer meant they had been deserted by the company responsible for their destitution. 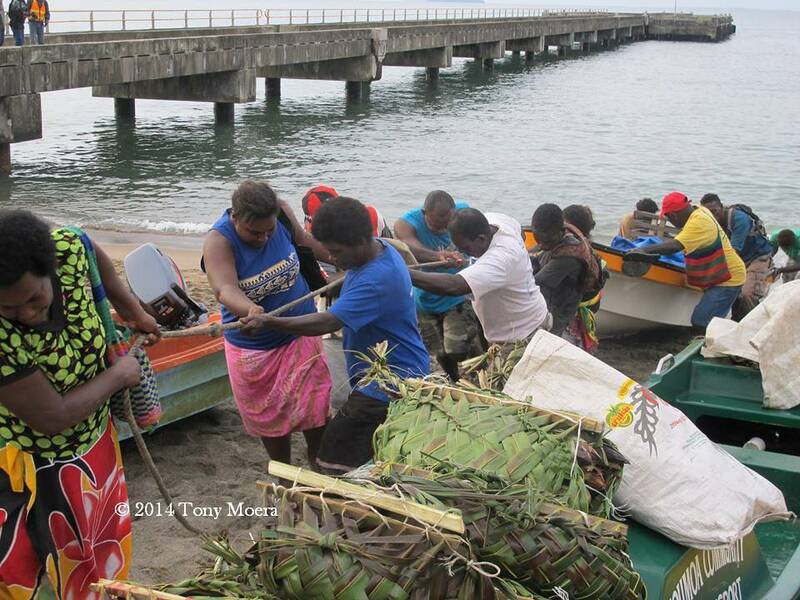 BCL, the Autonomous Bougainville Government (ABG) and other stakeholders were led by BCL manager Justin (Ted) Rogers. Their mission was to verify and help locals finalise legal documents and bank accounts for title holders of land areas leased by BCL all those years ago. The money ought to have been paid in 1990 but the Bougainville conflict of 1988-97 got in the way. 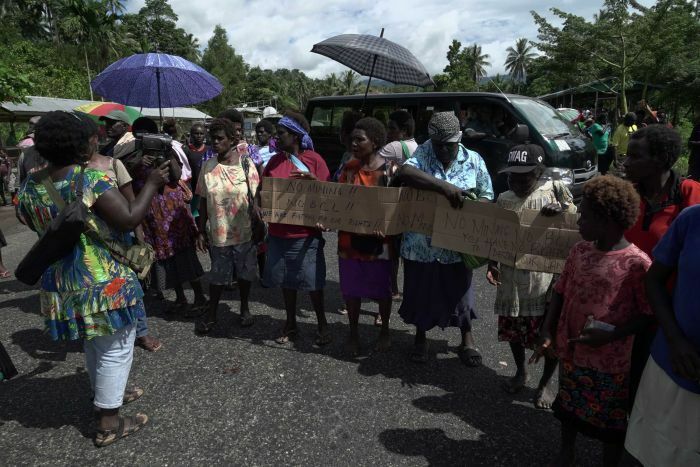 Thus only now the people of the Panguna District queued to get what was owed to them by BCL. This prevented possible eruption of conflict and maintained harmony within the Upper Tailings lease and its community members. The tailings of the Panguna mine is in three sectors: the Lower Tailings (South Bougainville’s Bana District), the Mid-Tailings (Jaba to Konnuku Village) and the Upper Tailings (Tonanau Village to Dingumori). In money terms there was a great variation in compensation depending on the size of the land blocks subject to royalties. The Lower Tailings, geographically a vast plain stretching from the Mid-Tailings to the coast, received a massive amount of K1 million-plus. The Mid-Tailings took about half-a-million while we in the Upper Tailings get something less than K50,000. According to sources, the Special Mining Lease land title holders from areas directly around the mine will get close to a million kina. BCL spent four days in the Upper Tailings with the people. Where disputes arose amongst people over land titles, BCL directed them to share the benefits. Thus peace prevailed. Happy faces came out of the buildings where people were interacting with BCL and ABG officials. Above all, BCL manager Rogers was everywhere chatting and smiling with the people. As BCL and its entourage left, the people stood by feeling relieved. What some of their elders had long waited for had materialised. Many in the Upper Tailings are now telling themselves to make good use of the BCL money so it will have some lasting positive impact on their lives and the community as a whole. They are telling themselves not to be like the Arawa Villagers who received K3 million from the national government for the lease of the land in the Arawa township but hardly have seen any tangible development.